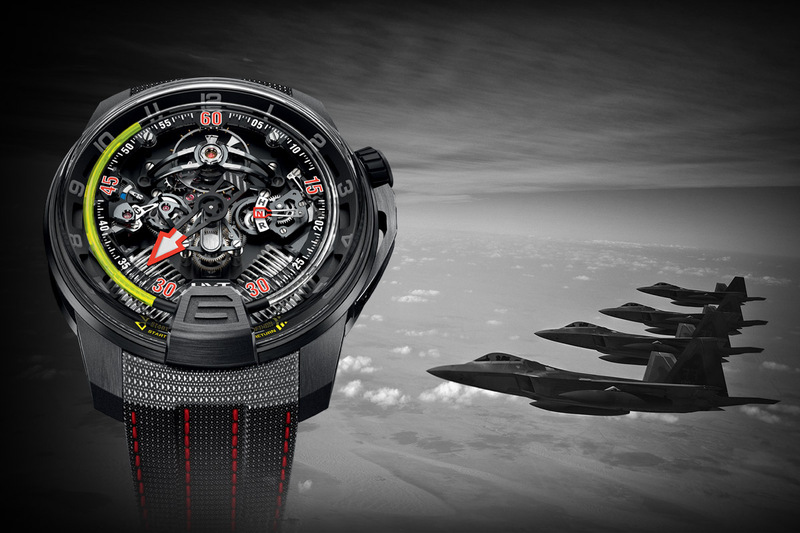 With such a name, we had to take a look at this powerful Pilot Watch! First of all, it’s important to mention that we, MONOCHROME, have nothing to do with the creation of this watch. 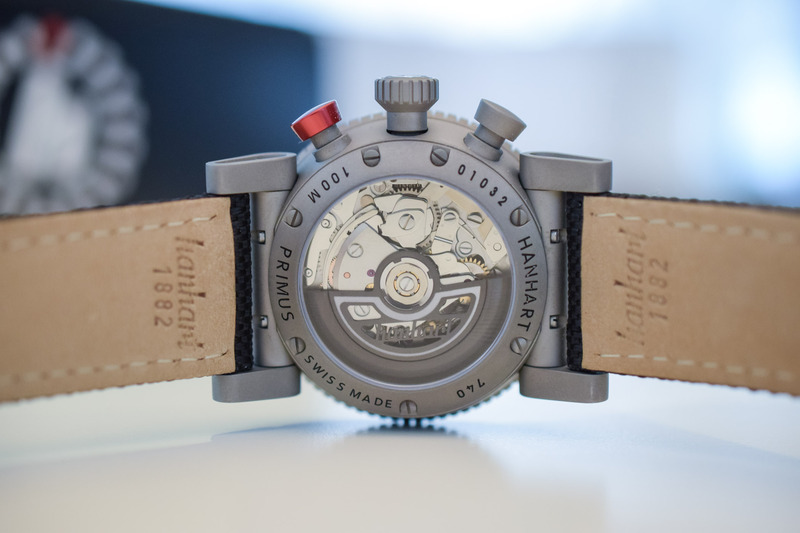 Yet, when we saw that Hanhart was about to launch a new timepiece named the “Primus Monochrome Pilot”, it was hard for us not to take a closer look. 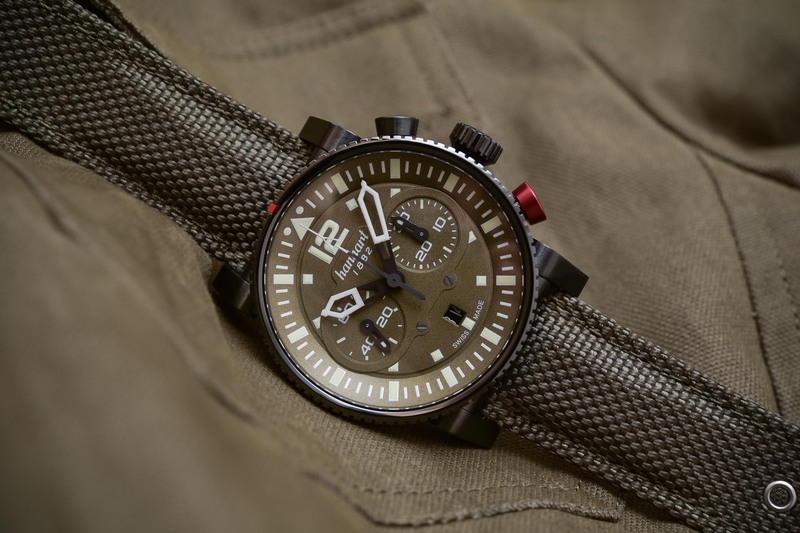 Based on the concept we’ve already reviewed a few months ago, the Primus Pilot, the German brand brings a new, stealthy and truly military-inspired version of its bold chronograph. Overview. 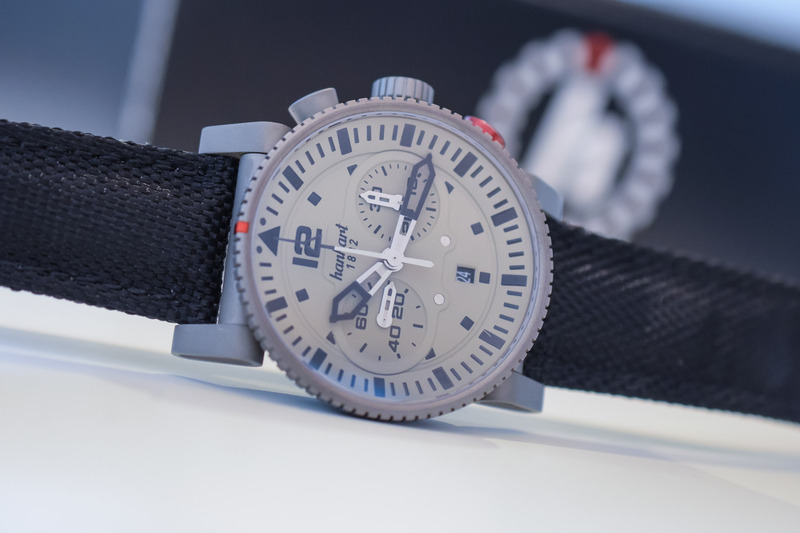 On the contrary of most other watches in this Primus collection, which frequently had colourful designs, Hanhart has started to give its modern pilot watch a more military, stealthy design. We’ve seen it with the Black Ops edition (reviewed here), a watch that combined its black case with a military green dial. 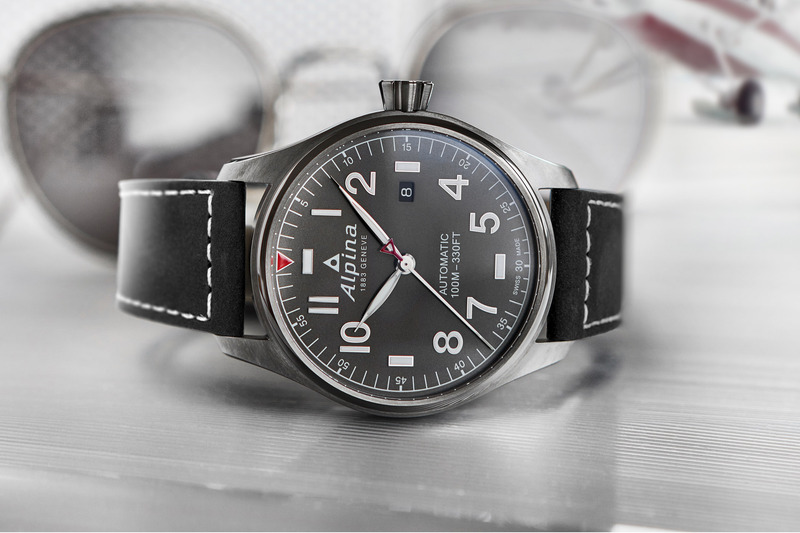 Now, with a new edition about to be launched, the brand goes one step further, with a minimalist, clean and fully grey vision: the Hanhart Primus Monochrome Pilot. The case of the Primus Monochrome Pilot is the same as the one we’ve seen in previous editions: large, powerful, bold and hyper-robust. Its dimensions – 44mm diameter x 15mm – seem large on paper. Indeed, it is by no means a dress watch. 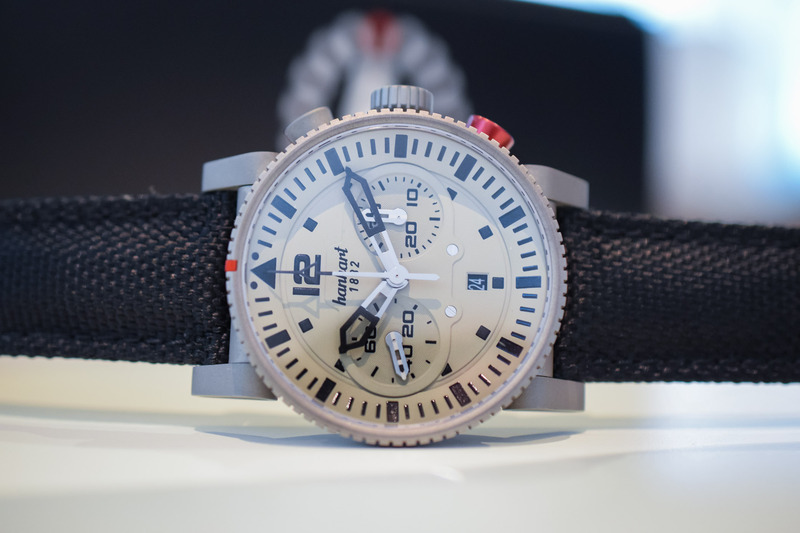 Yet, it features a clever pair of lugs that are articulated offering great comfort on the wrist. 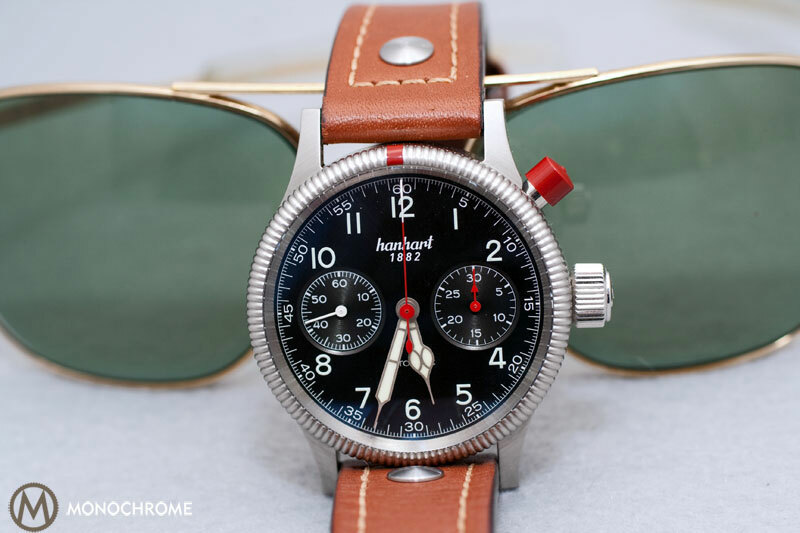 As a tribute to vintage Flieger chronographs manufactured by the brand for WWII pilots, the reset pusher of the chronograph is presented in red anodised aluminium – the only touch of colour found in this watch, alongside the red marker on the rotating bezel, in order to make calculations. All the parts are oversized and easy to activate, as a good pilot watch should be. The final military touch comes from the black fabric strap – a nice and well-executed strap, with leather lining and a matte steel folding buckle. 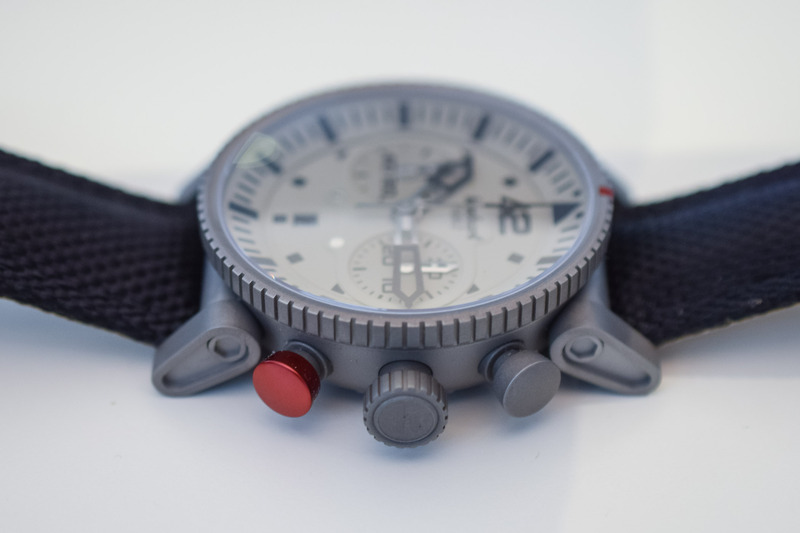 This Primus Monochrome Pilot combines its matte steel case with an equally restrained and military-inspired dial, presented here in matte grey with bold, well-contrasted black markers and hands. Even if painted in black, all the indices and hands are luminous, providing a very decent nighttime legibility. All the indications are easy to spot at a glance and the non-reflective dial makes this watch rather discreet despite its bold style and proportions. Powering the Primus Monochrome Pilot is the calibre HAN3809. 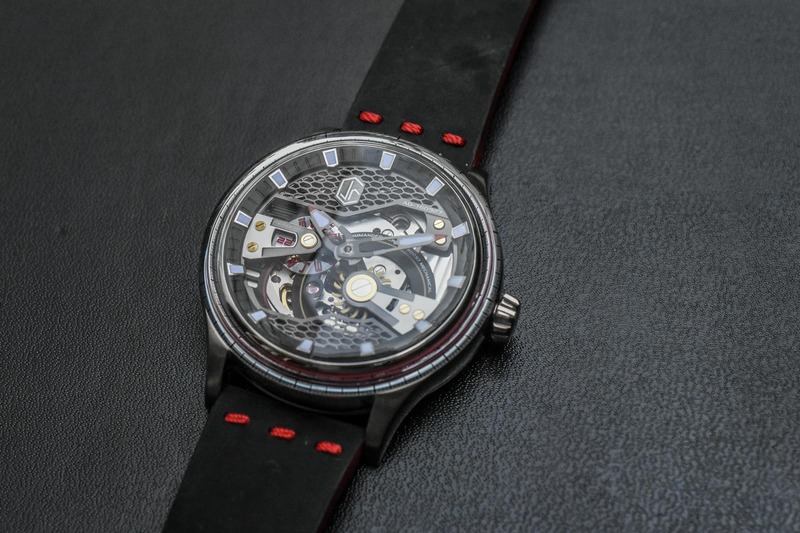 This movement is based on the proven architecture of the Valjoux 7750, here slightly modified by La Joux-Perret. The main difference comes from the display, modified from the typical 6-9-12 to a more balanced 2-register layout (3 and 9) style, with the small second and the 30-minute counters slightly distanced from the axis of the hands, thus more adapted to the size of the watch. For the rest, the specifications are equal to a standard 7750 – 4Hz frequency, 42h power reserve, chronograph activated by a cam. 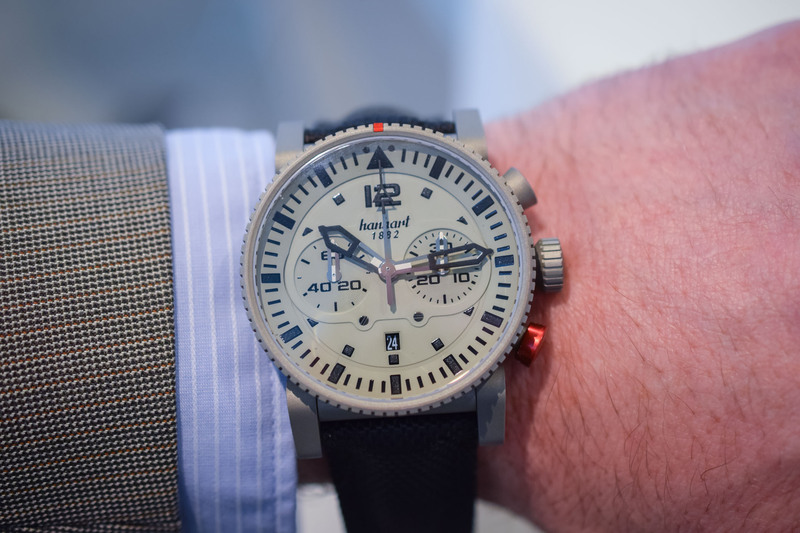 If this new version remains quite close to the original concept – the Primus is a modern interpretation of the pilot/Flieger chronograph of the brand – the new Monochromatic look is a welcome addition, which makes this large and bold watch more discreet and even more military-looking. 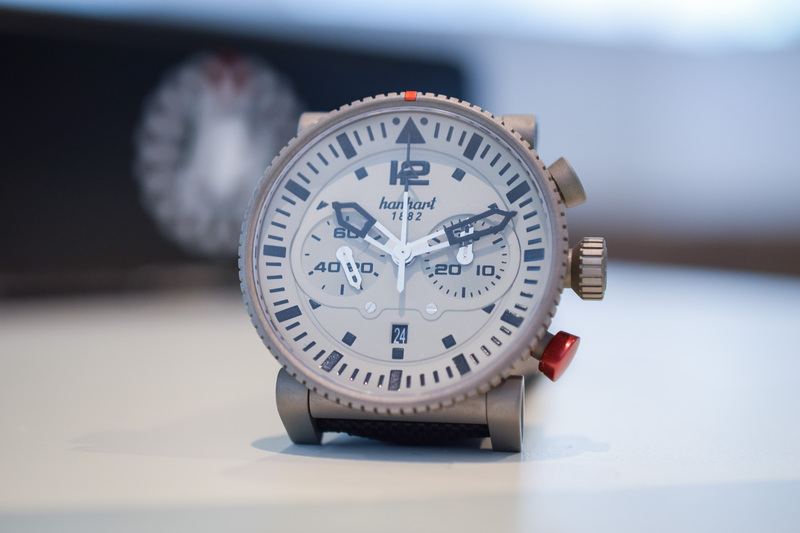 Price for this Hanhart Primus Monochrome Pilot will be USD 2,970. More details on www.hanhart.com. It’s a big “mish/mush” .